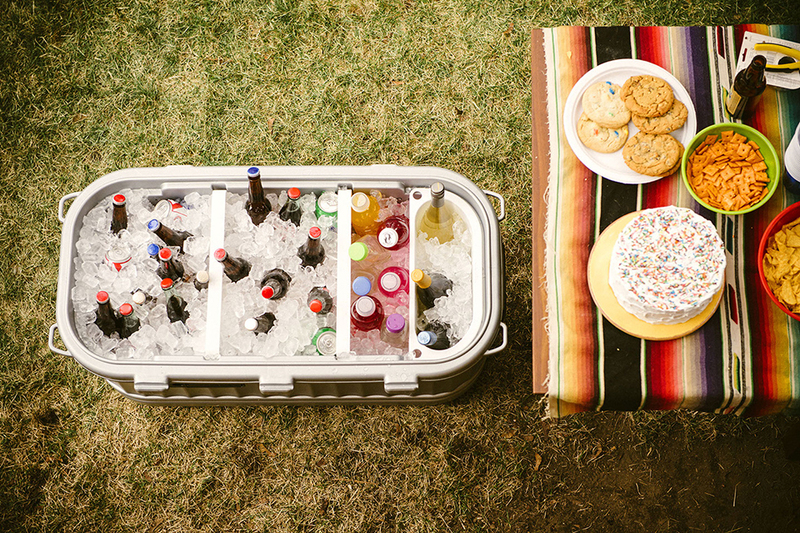 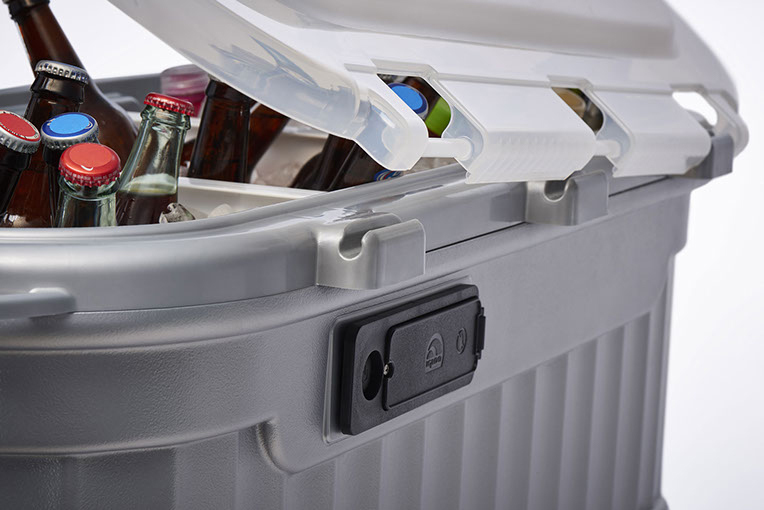 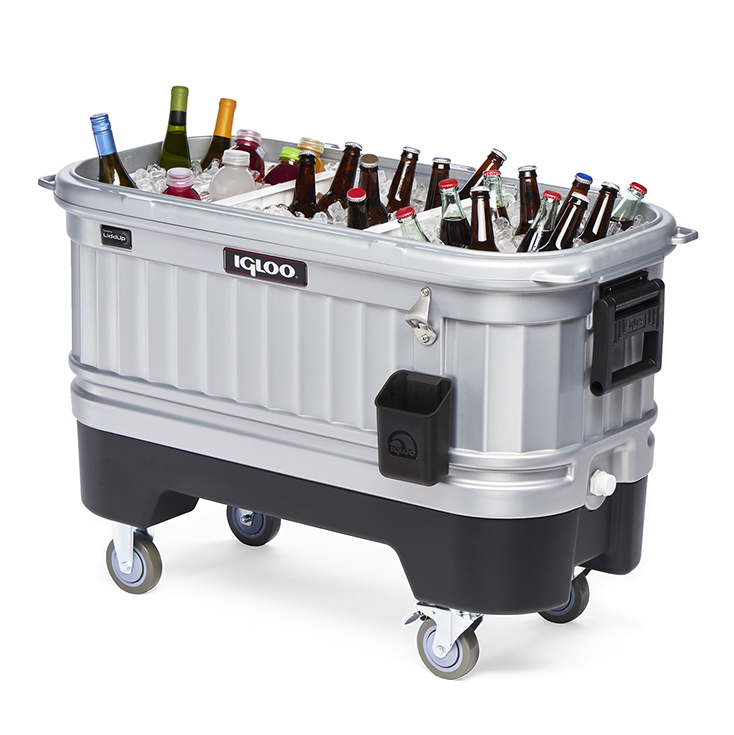 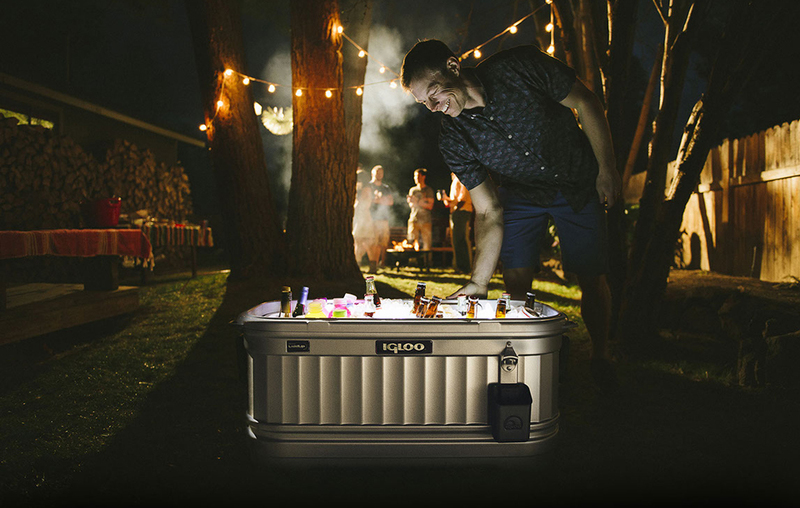 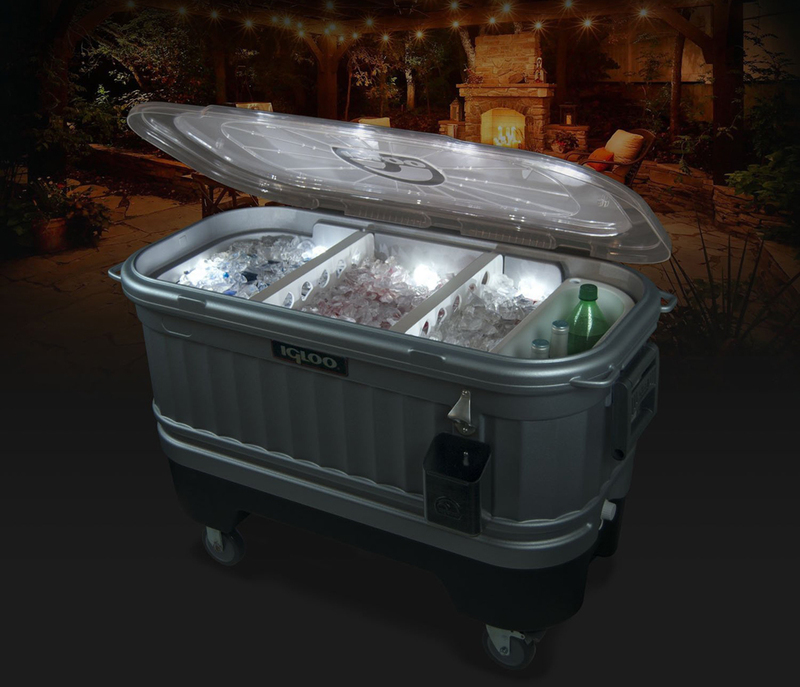 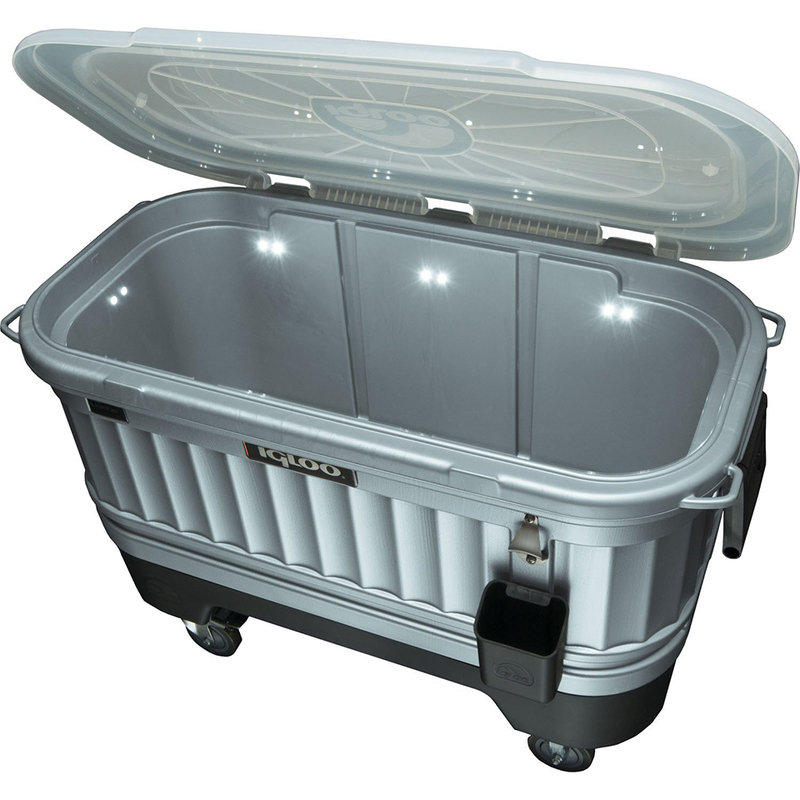 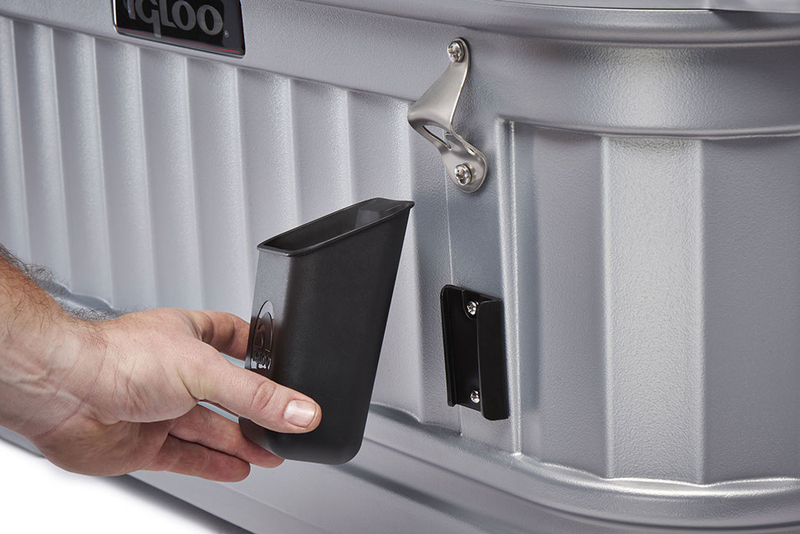 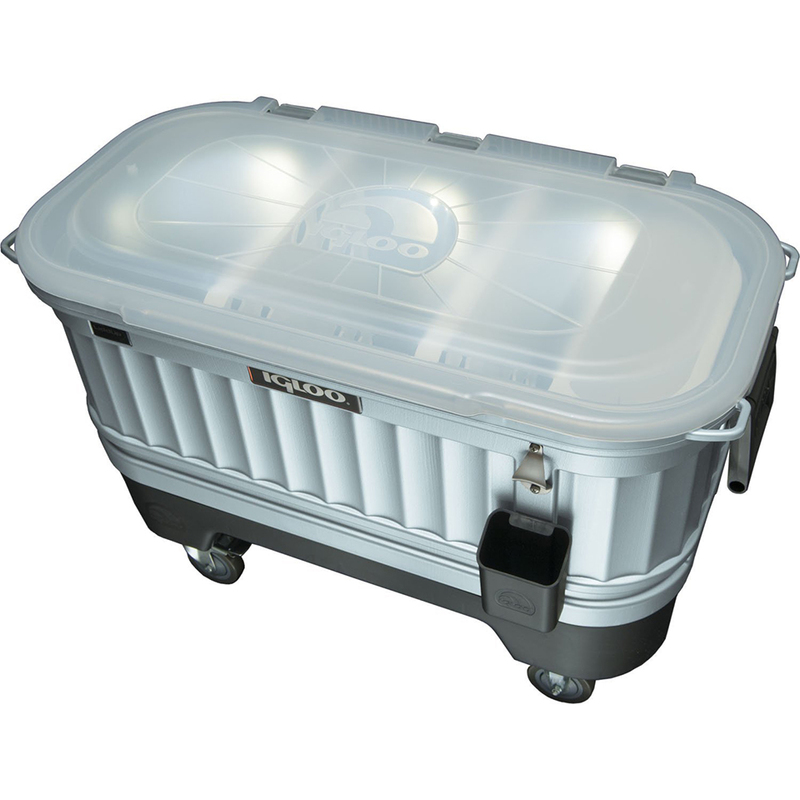 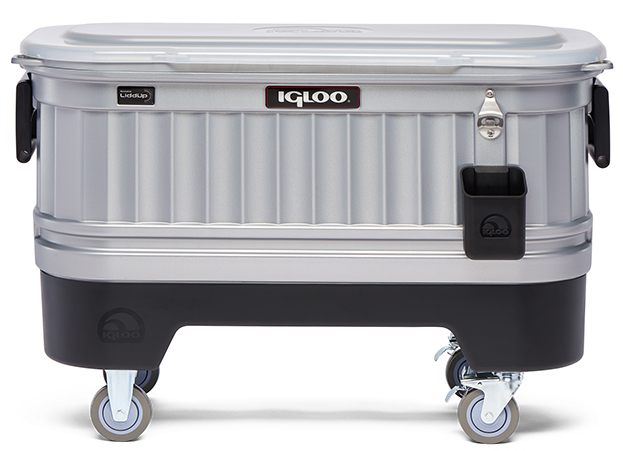 The Igloo Party Bar is a 118L cooler packed with practical features. 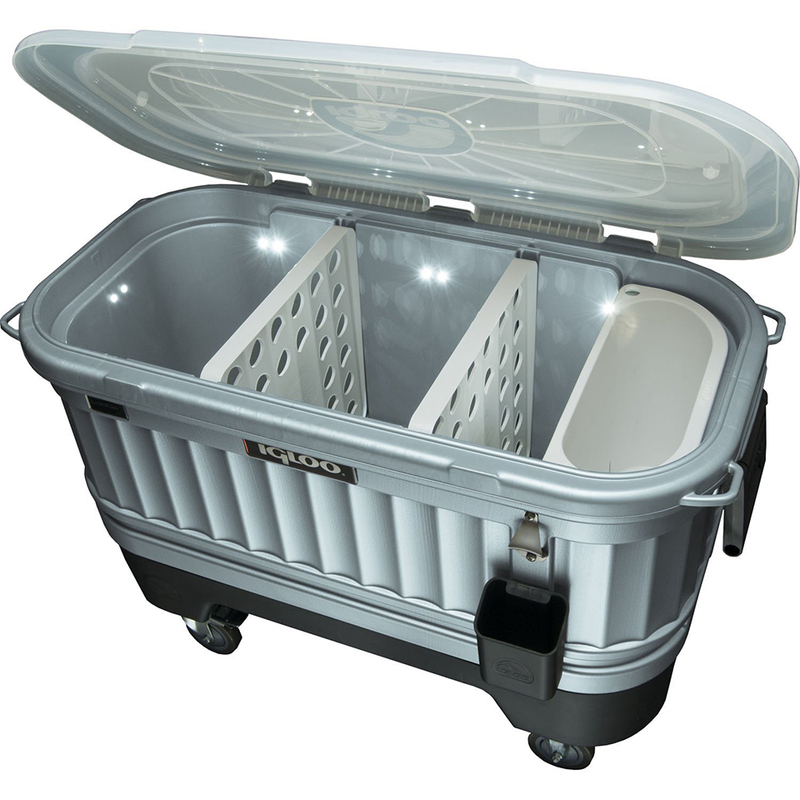 It has removable dividers, lid and base with locking casters. 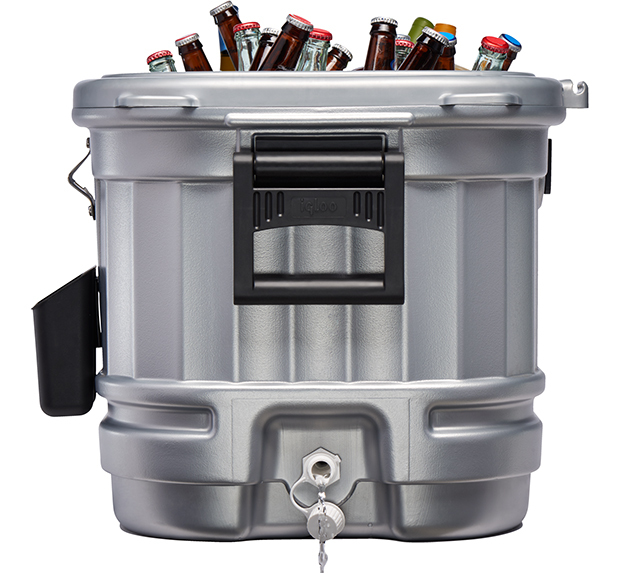 It also has 16 interior LEDs, a bottle opener with a catch bin and a threaded drain plug.